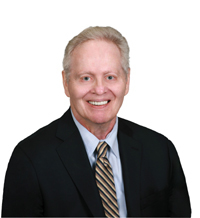 Bob was a well known and highly respected REALTOR® in Northern Virginia. He joined the industry in 1986, and quickly built up a phenomenal business, culminating in being recognized as Long & Foster’s #1 agent in 1992. Perhaps what he is best remembered for by his colleagues is his generosity and sense of fair play to others in the industry. No matter how busy he was, Bob was always willing to take time to give advice when asked, and treated other agents with respect. Bob was also an avid butterfly collector and over the years built an amazing collection, much of which has been donated to the Smithsonian Museum. Additionally, Bob was an animal lover and supporter, most especially of dogs. Despite his many achievements, Bob’s greatest joy was family and friends. He was a devoted husband, loving father, enjoyed strong bonds with his three brothers, and had many wonderful friends. Most recently, Bob had the great pleasure of adding the title “Grandfather” to his many accomplishments. Although retired the past few years, we always knew we could count on his many “pearls of wisdom” and infectious sense of humor. He leaves our team a wonderful legacy; which we commit to respect, honor and strive to uphold.